I wager some of you thought this might be an announcement about an upcoming rap album. No, it definitely isn’t. Some may have thought I was being playful and wanted to engage in an open and direct dialogue. No, we do that already. This was my incredibly hot, hazy, Friday afternoon attempt at wit. In a small sauce pan over medium heat, warm your shredded chicken, teriyaki sauce, and wasabi. Add your almonds, Thai basil, and bird’s eye peppers and mix well. Turn heat off, covering the pan with a lid to allow contents to stay warm. Meanwhile, pick out your lettuce leaves and arrange them on a serving platter. 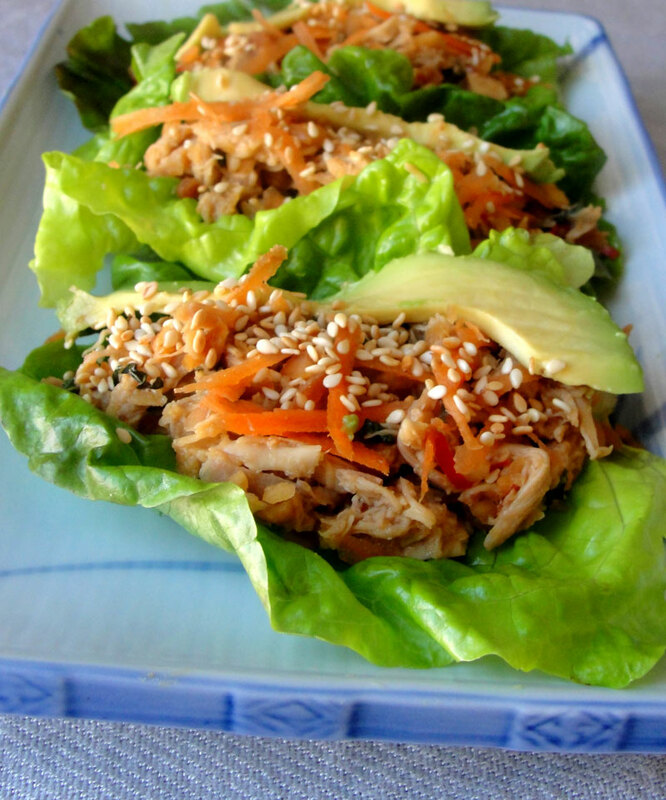 Top lettuce leaves with chicken mixture, shredded carrots, avocado slices, and toasted sesame seeds.